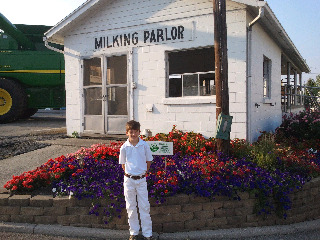 The definition of insanity: 11-year-old boy wearing all white + dirtiest place in the county + livestock = County Fair Dairy Show. I just ordered this year's white Wranglers for our county fair, which is on Labor Day weekend. I will probably keep them packaged up until show day, otherwise, every ketchup, mustard or sauce jar in our house may explode with excitement.